Paris Saint-Germain Football Club, also known simply as PSG, is a professional football club based in Paris, France. It was founded on August 12, 1970 and quickly became one of the best and most popular professional clubs in France. Currently, Paris Saint-Germain is one of the top 8 teams in Europe and its ambition is to be the best club in Europe and win the Champions League. Since its creation, Paris Saint-Germain has had a proud and successful reputation of identifying and developing young talented players. The Paris Saint-Germain Youth Academy is one of the best in France and has produced several top players over the years. The Paris Saint-Germain Youth Academy symbolizes the French capital city club’s dedication to youth development and education. This is all a part of their overall philosophy, which consists of the application of an attractive, exciting and attacking game. Homegrown players, including Nicolas Anelka, Mamadou Sakho, Jérôme Leroy, Luis Fernández and Clément Chantôme, and others such as Ronaldinho, Pauleta, Dominique Rocheteau, Safet Sušić, Youri Djorkaeff, Valdo, Ricardo, Raí, George Weah and David Ginola are among the illustrious stars that have typified this philosophy on the field. Created in 2005, Paris Saint-Germain Academy is the symbol of our dedication to youth development and education as part of our overall philosophy. Presence of Paris Saint-Germain Academy Head Coaches to supervise and train partner coaches. We firmly believe that the US has numerous talented kids whose future is very promising. They just need to receive high-quality practices led by certified and experienced coaches from countries that built world champions. Our mission is to provide the best world soccer experience with quality professional services, (and an European touch), while maintaining a safe and fun learning environment. We are proud to be part of the global Paris Saint-Germain family, each summer our players and coaches get the opportunity to spend some "magical" time with the professional team! The Paris Saint-Germain Academy coaches provide a combination of personal and team training used at Le Camps Des Loges ( Paris Saint-Germain’s famous training center) to help eager players improve. Our staff will offer a variety of comprehensive programs which balance discipline and learning with competition and fun. Personal evaluations on technical and physical skills will be implemented at the beginning and end of each week with report cards to keep track of the players’ progression. This will provide each kid with a road-map for improvement during the week and also during his/her soccer season. Each kid will get a report from our highly-qualified coaching staff on his/her technical abilities, tactical awareness, physical aspects and personality traits. Keep in mind that the evaluation and the report card are not mandatory. 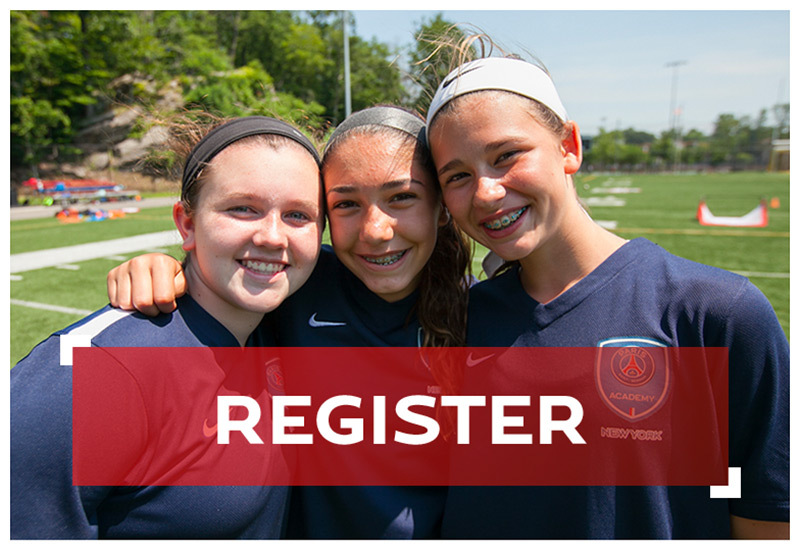 The camps will feature training sessions for different age groups, as well as skill levels. Our main focus is to make sure that each player will be training in a group of his age and will make progress in a fun environment. 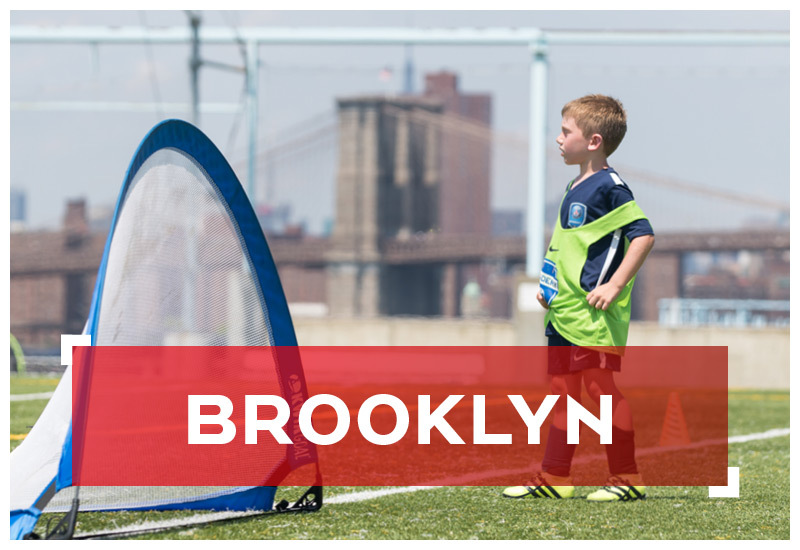 We are committed to training players between the ages of 6-15 in the technical, tactical and athletic aspects of soccer. Players will be exposed to an experience of intense in-game situations that will help them develop the skills and confidence required to succeed at every level. The instructors will bring the proven Paris Saint-Germain methodology to teaching soccer, which emphasizes individual skill building and tactical discipline. All facets of soccer (dribbling, passing, receiving, shooting, defense and goalkeeping) will be worked on throughout the week. Our goal is to improve your all-around game. 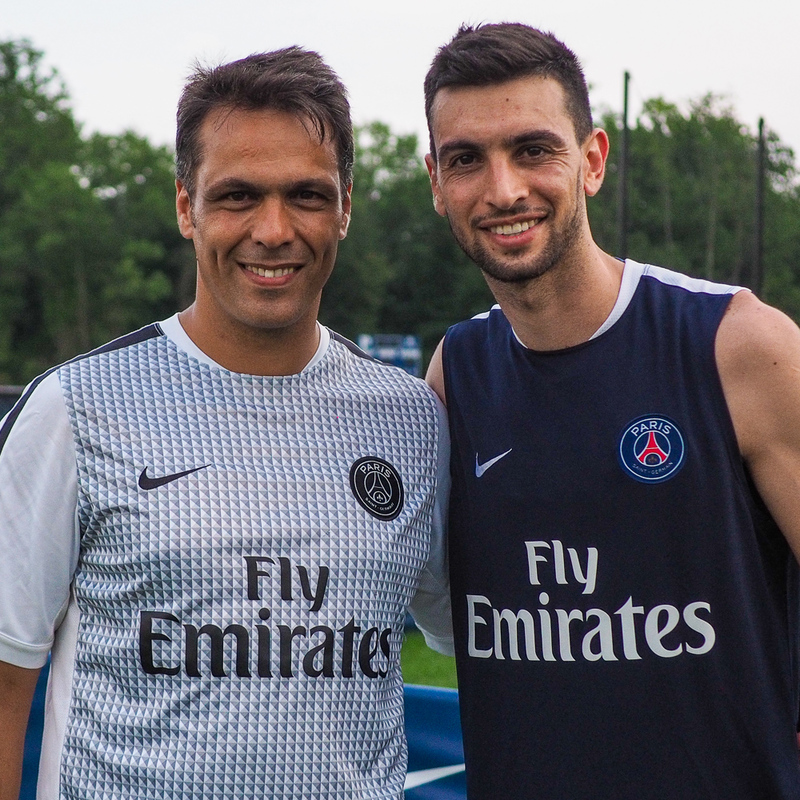 Whether you are an experienced soccer player or only a beginner, the Paris Saint-Germain ACADEMY of NEW YORK Camp staff will work to take your game to the next level. Zohair Ghenania has been in New York since 2006. He is the economics teacher of Lycée Français de New York. Before his arrival to New York City, Zohair was a teacher in Lorient (Brittany) and was coach of the FC Lorient Football Club Youth Program Development (Professional Club in Ligue 1, France) for 8 years where he successfully developed players who went to the Youth French National Teams. He was also a founding member and developer of a plan which led to the creation of a private soccer school/academy reserved for only the top players of FC Lorient (ages 15-20) in order to permit them to conciliate a high performance sport (2 practices a day) with adapted schooling. Among the numerous players he has coached, supervised or scouted, some of them are now professional soccer players (Courtet, Robert, Morel, Gignac…). During his youth, Zohair Ghenania played for Le Mans (professional club) in the youth teams and then the reserve team. He was captain of the French College team, who became National League Champions in 1994 and vice-champions in 1995. He was also semi-professional in Sarthe and Brittany and was part of the professional roster of Lorient. Zohair Ghenania is the holder of the DEF (soccer coach diploma), the highest diploma awarded by the French National Soccer Technical Direction and is recognized by the UEFA (European Federation) (UEFA A Diploma). He also carries a second degree in Physical Education, specializing in soccer, from the French National Youth and Sports Ministry.